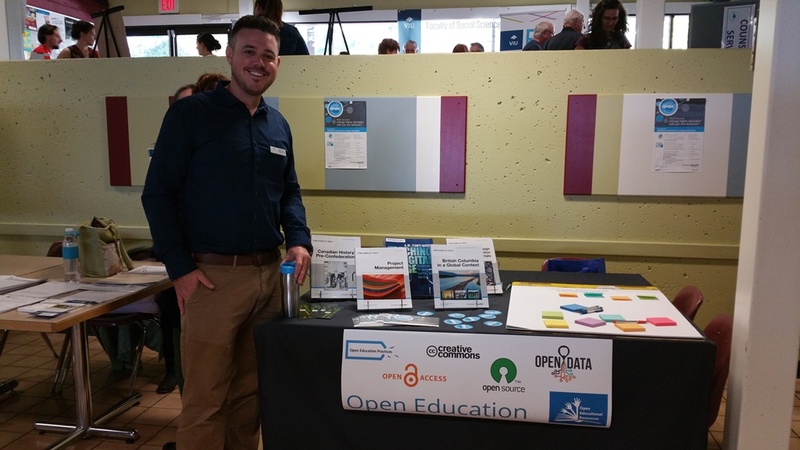 Last week during the VIULearns event on the Nanaimo campus I had a chance to engage students directly with the idea of open education. 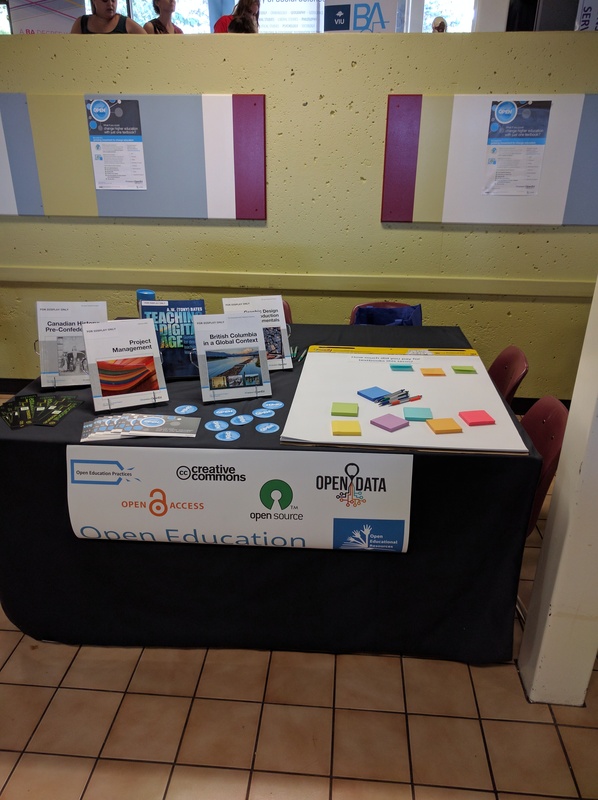 I positioned our booth to draw students in around all aspects of open education; including open access, open data, open educational resources, open licenses, open educational practices, and open source software. While many of these specific concepts were new to the students I spoke to, they were well received and students recognised the notion of openness as related to other parts of their lives, largely though their engagement with the internet. We had some great help from our friends at BCcampus who support the BC Open textbook project. 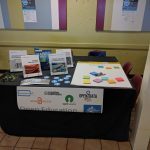 BCcampus provided some physical copies of the open textbooks for students to browse as well as some promotional material to give away. The Open Textbook project currently includes 163 texts which are freely available in multiple digital formats as well as being available to print in whole or part. Furthermore, because of the open copyright license applied to the texts, these can be excellent sources for faculty looking to build supplemental resources, blended, or fully online courses. The open license allows you to reuse, revise, remix, redistribute, and retain the resource, opening up all kinds of opportunities for course and learning designers. 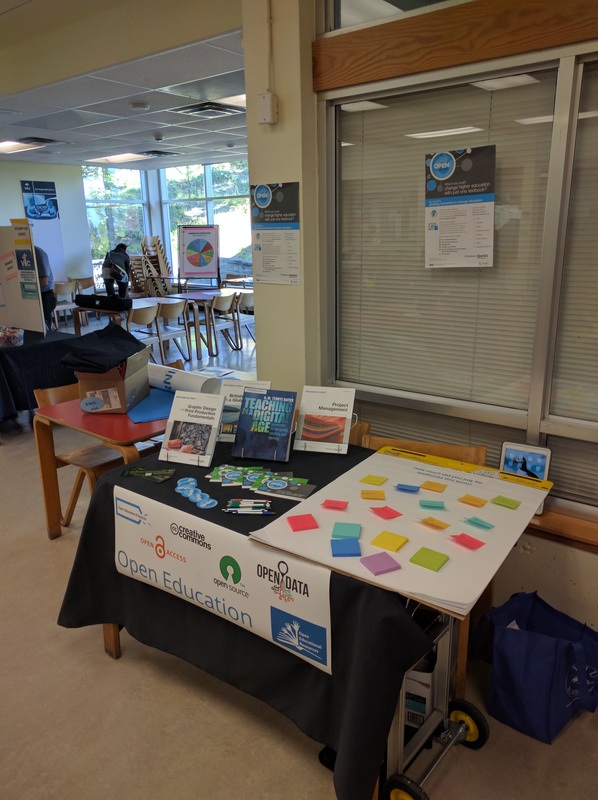 Even further, if you want to engage in open educational practices, you can make your whole course open when using these resources and design students projects which build upon, add to, or rework open resources. We are seeing projects like this emerge; where students are tasked with rewriting, improving, or creating supplemental material for an open textbook. This can be a great way of engaging students with open practices, developing some key literacies around modern digital media, and then developing creative works which can be both part of their portfolio as well as learning resources for future learners. 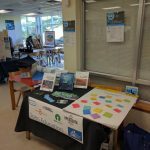 Many of the students I spoke to gravitated to the booth due to the question board we were seeking their feedback on. The question “How much did you spend on textbooks this term?” generated a wide range of dollar values, from as low as $45 to as high as $1,325. The challenge for students of course is not knowing the extent of their total textbook costs until after arriving in class, at which time they start to see these costs creeping up. Sentiments expressed around this question ranged from students’ acceptance of this as a sad reality, to outright anger at the total costs. A recent statistic for US post-secondary students found the average cost at $1,200 (Senack, 2014). That same study also found that many students forgo the purchase of the textbook because of this cost, putting their academic success at risk. These students borrow, use the library copy, or simply hope for the best due to the high cost of certain texts. Our students were pleased to know that there were alternative options emerging. As I usually do, I made a point to ask students whether they were aware of alternative licensing models such as Creative Commons and what they could now legally do with digital media under these licenses. Sadly all of the students I spoke to were unaware of this but excited to hear about it. We intend to continue to identify opportunities for engaging our students with the idea of open education. 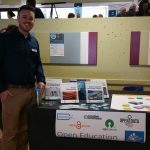 In the meantime check out our website for information about open educational resources as well as our open educational resources directory if you are looking to find various forms of open content.